Pictured from left is Marla Kizzire (Fayette Medical Center Foundation Interim President), Cade Harris, Madison Dunn and Hunter Reynolds. Each student received a $1,000 scholarship that can be used at any college or university chosen by the recipient. 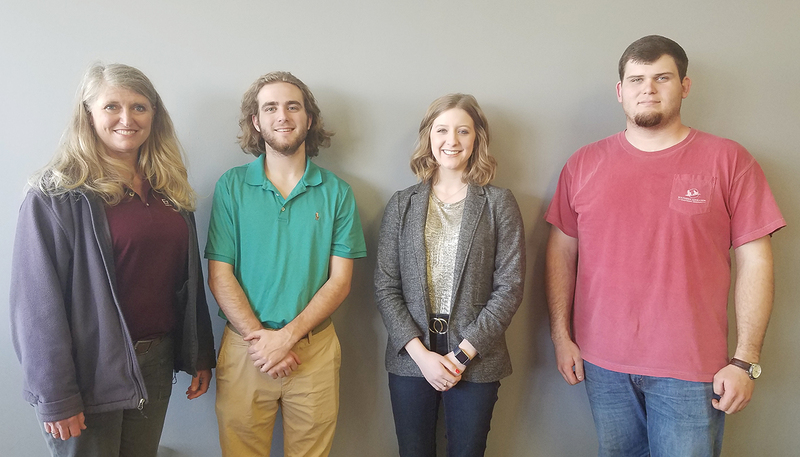 The Fayette Medical Center Foundation recently announced this year’s recipients of its “Nutrition Fuels Fitness” scholarships. Selected as this year’s recipients were Bevill students Cade Harris, Madison Dunn and Hunter Reynolds. Each received a $1,000 scholarship that can be used at any college that they choose to attend.